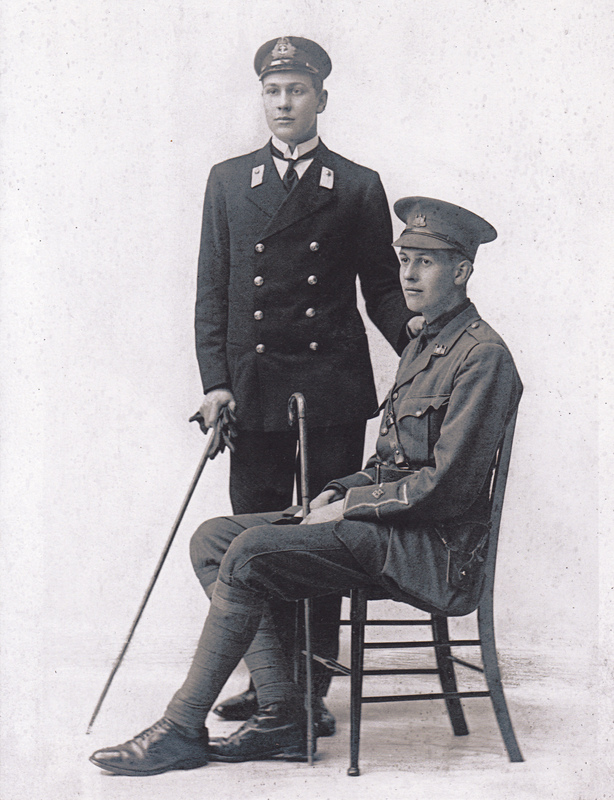 We are pleased to share with our readers this letter from a young midshipman of the Royal Navy who relates to his parents the great battle of May 31st as he witnessed it from his battle station. Wednesday May 31st, in the afternoon., we were southbound not expecting a squall, in fact no one was thinking of one. At 3.30 p.m. (15:30 hrs) we were told to prepare ourselves immediately for clearing for action. We went through this interesting exercise which consists mainly in destroying everything, putting tables upside down, taking chairs out on deck, and to flood the decks with two or three inches of water. We locked again our chests in the bathroom, though I had time enough to tumble down below decks and extract from mine my warm things and my life gear. I was, indeed, expecting to spend the night outdoors and it was not exactly warm. At that time, the weather was cloudy and misty, and one could not see very far. Towards 4 pm (16oo hrs) we forced speed and we received news that our light cruisers had seen the enemy, which took us to a paroxysm of excitement. It seemed to us (and I think I was not mistaken) that a meeting with the object of our wrath depended only on a stroke of luck. This element of sport added to our excitement. At 17:00hrs, we learned that the fastest battlecruisers and first class battleships had made contact with the enemy. We went full steam towards our target, in the fervent hope that we would reach it. At about a quarter to six, we sighted glimmers of light on the starboard bow, and a little later we saw the battlecruisers exchanging fire with the enemy. The battle fleet was sailing on several lines. We wheeled to port in the wake of the battlecruisers. We made one single long line with all our starboard guns aimed at the enemy. At 6:30, or a little after, we opened fire on a ship which all of us took for the armoured cruiser Roon. (I since learnt that it was probably not the Roon, but it was nevertheless a large armoured cruiser.) She had already suffered serious damage, and after taking direct hits from half a dozen of our salvos she disappeared in a magnificent conflagration. She was able to stay afloat for only a few moments after we had abandoned her. Afterwards we chose as a target a much larger first class battleship (probably a Kaiser class), and the squadron gave her a taste of hell. There is ample reason to believe that she had succumbed, but I am not sure if anyone had actually seen her sink. It was at that point that the entire German battle line, which had just taken its combat positions, turned around and took flight. And that was the end! It was about 8 pm. You see then that they had retreated before we had been able to truly attack them. They had sustained very serious damages! We had really witnessed only the preliminaries to a fight and we could only have a rather vague idea of the real thing. Nevertheless, what we saw was perfect. We were overcome by joy and felt the better for it. It was impossible for us to bear down on the retreating shadows not knowing if the enemy had not disposed dozens of mines and submarines on our path. We did nonetheless give chase to them on a safer course. I spent the night on the fire control bridge even though, as you know, my battle station was in a gun turret. My mission was to stand by the 4 inch guns in the event that we came under fire from destroyers. I did not sleep all night as a result. That night, at about 10:30pm (22:30 hrs), there was a violent engagement or an attack from the destroyers at a certain distance from us to starboard. It is likely that this was the battle in which the German dreadnought mentioned earlier was sunk. We saw a number of flashes of light lights and a huge conflagration and this caused a great commotion among us. Nothing else happened to us for the rest of the night, and at 2am I returned to my turret where everything was ready (the guns loaded etc.) to open fire at the first warning. We took turns to sit on top of the turret to smoke a pipe. A little after 4 a.m. we sighted a zeppelin aircraft astern, and I could not help being greatly excited since it was the first one I had ever seen. It drew nearer to the ship but rather, I think, to scout than to throw bombs at us for, in fact, it did not drop a single one. We fired at it with a 12inch gun and sent two rounds of our anti-aircraft cannon, which made it to retreat immediately. To tell the truth, I think it was out of range, but it was worth trying our luck against it. We remained at the same spot for a while, hoping for a good opportunity, but obviously the Huns did not see things the same way and they kept well out of reach. So we started our way back. We remained at our battle stations until 3 pm (15:00 hrs) which means we had kept to them for 24 hours at a stretch. This is not too bad. There is reason to believe that during the operations four torpedoes were fired at us but not one of them hit us as, it seems, all the ships on which I have sailed have been proverbially lucky. We made it back without any damages or casualties. It is considered that it was our squadron which took the brunt of the onslaught during the engagement of the first class battleships. Of course, the battlecruisers, more any one else, “took a beating”. At least I think that we have fired more than any other unit. At any rate, and whatever might have happened, I am convinced that the Huns had been more battered than we were, and onboard our ship everything had gone like clockwork. Having waited so long for this day, we all felt a great joy and everybody was delighted except when it was all over. Then, I must confess, I felt very saddened at the thought of all the brave men who had had to die. That morning we held a memorial service on board ship, following which I attended the funerals of some of the victims. 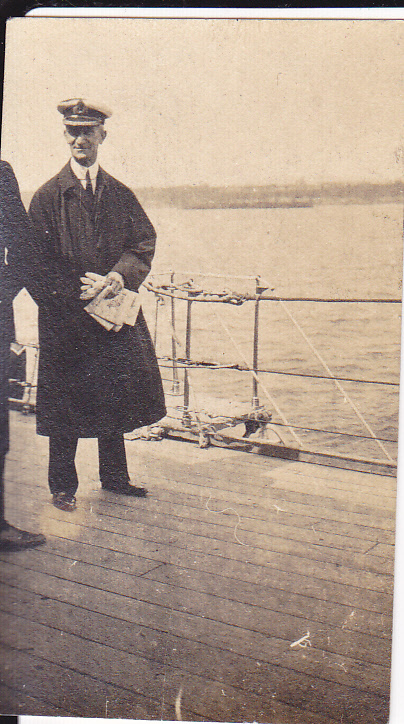 Admiral Jellicoe was present and so were many others, it was very impressive. I fear I got carried away and have told you too much, but I hope you will not hold against me. It is so rarely I have something to tell you._Goodbye. Sub-Lieutenant Henry Arthur Adeane Mallet, dated November 1918. 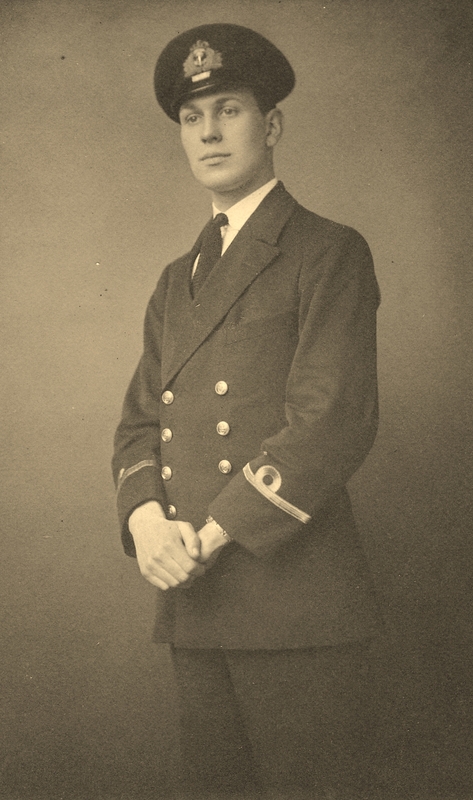 Mowbray Jackson’s grandfather was the seventeen year old Midshipman in question, on the battleship HMS St Vincent and was ‘doggie’ to Captain Fisher. So both our grandfathers were there…albeit on different pay scales! He had just come off convalescent leave due to his having been blown up at Gallipoli in 1915. The letter was written to his parents after the battle and his father had it copied and sent to various cousins. To his horror, one cousin in Paris had it translated and published in Le Monde. Mowbray includes two interesting photos. Both need some help with identification. 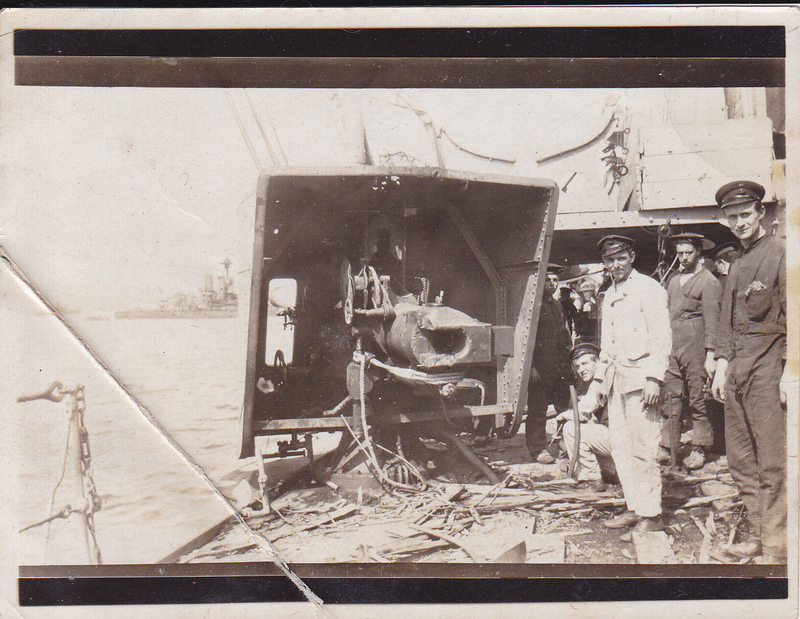 One of the returning light cruisres showing the damage to the breech of one of her guns. Which Light cruiser could this be? Who is this unidentified officer? See Ships’ database on HMS St. Vincent.